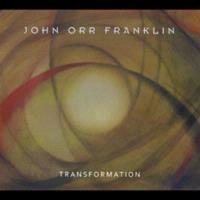 John Orr Franklin regards his music as progressive rock, and I agree. It seems that many prog purists would be likely to disagree, though. The sounds are often too metallic for them. The music is catchy throughout. I’d probably lump this into the “neo-prog” category. It’s got some good music here, but personally I’d say the two songs that open it are among the weakest (not saying they are weak, but they are a bit average in comparison) on the disc. To my ear he should have tucked them in the middle because putting them at the front gives them too much importance and calls too much attention to them. Still, if you skip to track three – or better yet four – and start your ride there (at least the first time out) you’ll find this to be a strong CD from a promising artist. (ed. In the interest of full disclosure it should be noted that since writing this review Gary Hill has become the PR rep for Franklin - however, this is an unbiased review and was completed before any deal was worked out between the two). This rises up a bit like something from Yes, with a sense of anticipation. When it fires out into the song proper after this climbing intro it’s harder rocking and perhaps closer to a more metallic Asia. It’s a catchy song, but almost more metal than prog. Still, there are enough proggy elements here to please neoprog fans. More melodic, this still has some crunch, but is more in the vein of the progressive rock to which old school fans can relate. This definitely contains some tasty musical moments. “Kiss the Sky” is slower and perhaps the most purely progressive rock oriented of the first three cuts on the disc. I’d have to say that it reminds me a bit of something from Scott Mosher. There are hints of country music here and there on this, though. This one is perhaps closer to “Dance Till Three.” It’s not really a standout, but that’s OK because it sets the stage for a piece that is. Here we get a real killer instrumental. It starts in a mellow motif and grows with a sound that feels quite fusion-like at times. Still, the main thing I’m reminded of here is Anderson, Bruford, Wakeman and Howe’s self titled disc. Much of this feels a lot like that. The powerful and mysterious sounding balladic motifs that start this bring it into the realm of great music, too. When it gets just a bit more rocking for the vocals this feels a little like Pink Floyd, but with a more symphonic prog texture. There are hints of jazz here and there on this. This title track is quite a powerhouse masterpiece and another real highlight of the CD. Perhaps this isn’t the most purely proggy thing here. It’s quite cool, though. There’s an almost reggae element to some of this and it’s got a great classic rock and roll vibe. There are definitely some Gilmour-like guitar moments, too, though. It does turn more towards prog rock as it carries on, too. In some ways this reminds me of some of the more playful music from Queen. There’s also a bit of a Beatles-vibe. You might hear some Doors in this mix, too. Whatever you call it, though, it’s some tasty prog rock that leans heavily on the pop/rock side of things, but not far enough to send prog fanatics screaming. Dramatic and mysterious, yet sedate, tones lead this off. As Gilmour-like guitar enters it feels very much like Pink Floyd. This soars out into an Eastern tinged hard edged jam from there, though. It has an almost epic metal texture, but is also quite prog rock in nature. Another instrumental, this reminds me at times of Scott Mosher and it’s another highlight of the CD. For my money this is really very much like a Blue Oyster Cult song. Don’t get me wrong, it’s less crunchy than they would have done it and I’m not saying this is like any specific BOC disc, but tell me this wouldn’t fit on Revolution By Night or another album by that band. OK, now stop lying. It’s a catchy tune that really brings a prog side to the type of music Blue Oyster Cult seem to create in abundance. In many ways he saved the best for last. This is a pretty cut that is essentially a powerful ballad. The links to Pink Floyd are pretty definite here, but I an also make out other sounds.